Ready for an end-of-summer giveaway? 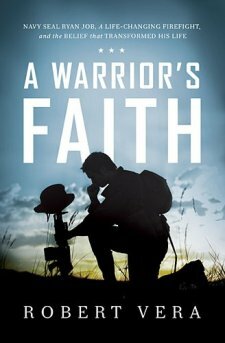 We’re giving away Robert Vera’s A Warrior’s Faith over the next two weeks, and you definitely don’t want to miss this one. A Warrior’s Faith tells the story of Ryan Job, Navy SEAL and American hero, and the impact that his life has had on many around the nation (read our review). It’s an amazing true story and Robert Vera has told it extremely well. Comment below using the name and email address fields. We need the email address to get in touch with you if you’re the winner. Share our promo article on Facebook: We’ve just shared a Facebook post about this giveaway – if you reshare it to your friends/followers, we will add one bonus entry for you! The giveaway ends on Friday, September 25th at 11:59PM, so get your entries out there! 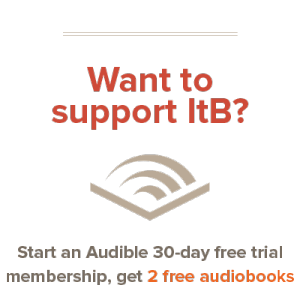 If a biography’s not your speed, no worries – we’ll be featuring more giveaways in the near future. We’ll be announcing the winner here on the blog as well as through social media; plus, stay tuned for more content coming in the next two weeks. This is one book my brother might read! I’m not much of one for reading, but I am very interested in reading this book!